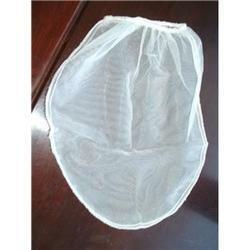 The Sugar Bags manufactured by ISPA are available in unique designs and different colors. The material used for this is polypropylene (PP) and are tailor made according to the client’s specification and dimensions. These are available with an inner lining to protect the contents and ensure that contents do not leak. The bags can be customized and designed according to the customer’s demand. Our company has gained immense accolades in the field of offering Sand Bags to the clients. These products find extensive applications for protecting riverbank from erosion, used in military and a variety of farm works. Sandbags are manufactured by optimum grade material and latest technology under the knowledge of adroit expert professionals. These products are praised by clients for owning remarkable characteristics. Offered range can be avail in varied specification as per need of valuable clients. These products are checked stringently on many quality stages before final delivery. Offered range is widely demanded by valuable clients. These can be used for packing of cement, fertilizers, chemicals & other similar products. These PP Woven Valve Bags are accessible in multiple sizes & dimensions that are detailed to multiple industrial & commercial usage. Due to different specifications of this bag, the material to be packed is filled through tube. As soon as the bag is filled, the valve shuts automatically providing a locking system. This bag guarantees long life of the stored products & helps in handling the material easily. These are best for packing cement, fertilizers and chemicals. The material is filled through hose and as soon as the bag is filled, the valve shuts automatically providing a locking system. In order to meet the varied requirements of respected clients, we are affianced in offering an elite range of Top Sprout Bags. This variety is made-up by using quality grade raw material that is obtained from reliable vendors of the marketplace. Offered diversity is highly appreciated amongst customers for its lasting nature.. 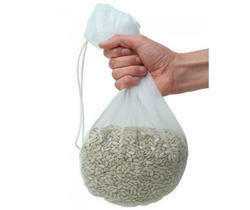 The Standard Bulk Bags leak-proof feature of the bag allows it to be filled with required amount of the weight. It has both inner and the outer lining so as to protect the content leakage. These are available in beautiful colors, finest quality and distinct designs combined to ensure customer satisfaction.The measurements can be tailored to suit our client’s needs with filling options, discharging options and lifting styles. 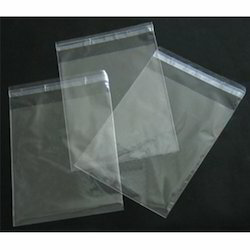 Ispa exim manufactures Polypropylene WovenBox Bags in both laminated and unlaminated variety which can bear heavy weight. 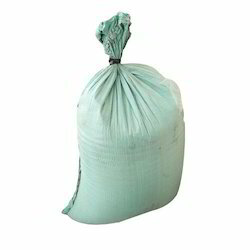 Polypropylene woven sacks / bags and fabric cloth bags are used in packing food grains, sugar, salt, seeds, cattle feed, fish meal, branded products, spices, pulses, dates, agro products, cement, urea, fertilizers, chemicals, minerals, resin, polymers and rubber, etc. These box bags are very helpful in packaging. The pp woven box bags are offered with PP/LDPE lamination inside or outside and can be used for packing urea and cement. 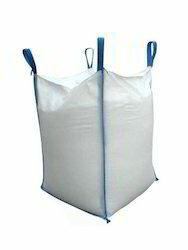 These bags are accessible with PP/LDPE lamination inside or outside and are used for packing urea and cement. These sacks laminated with BOPP can be used to packing branded products, spices, pulses, dates, agro products and other consumer products. 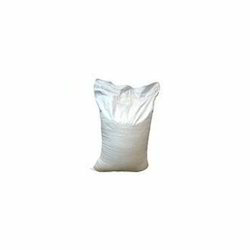 Sacks lined inside with pe loose liner bag of LDPE / LLDPE / HM/ HDPE are used for packing sugar/fertilizers, food grains, cattle feed, cement, polymers, etc. PP woven fabrics serve a lot of industries all over the world as they provide the best solution for strong, dependable and economical packaging. These light weighted fabrics are best suited for packaging bags suitable for Industrial bags, the finished goods for complete production. They are manufactured using quality polypropylene material and are known for their tensile strength, low elongations, dimensional stability and wear resistance. PP woven fabrics are very useful as they can be used to make bags, tarapaulins, box bag. 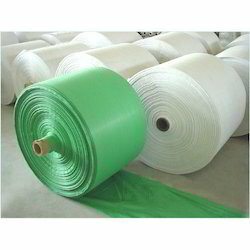 Ground cover , Sheet, bags for packing of food grains and chemicals. . Moreover, the fabrics are available in roll form so these can be easily loaded on any Automatic cutting and stitching machines. Ispa Exim Pvt. Ltd specializes in Manufacturing and Suppling of PP bags and provides total packaging solutions for all needs. Our name is reckoned in the realms of manufacturing, supplying and exporting a wide-ranging variety of packaging bags. We even customize our products to fulfill the requirements of our clients. We have been catering to our clients in India and abroad since last seven years and our experience enables us to be a reputed international player. The wide array of our products include PP woven sacks, bags, fabric cloth and fabric which are used in packing food grains, sugar, salt, seeds, cattle feed, fish meal, branded products, spices, pulses, dates, agro products, cement, urea, fertilizers, chemicals, minerals, resin, polymers, rubber, etc. These bags can be tailored according to the requirements of our clients.